A member of National Security and Foreign Policy Committee of Iranian Majlis told reporters in Tehran today that the five Iranian border guards abducted by Baluchi militants are expected to be released before the start of the Persian New Year (21 March). The militant group Jeish al-Adl (“Army of Justice”) has claimed responsibility for the abductions. They are presumed to be held in the Pakistani side of Baluchistan. The news of negotiations with Jeish al-Adl for the release of the border guards is the first indication that the Iranian military might have reassessed the chances of freeing the guards by Special Forces operations inside the Pakistani territory. 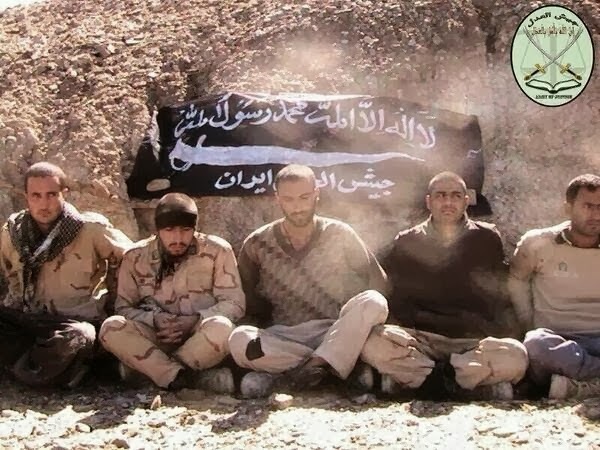 Photo credit: A photo of five Iranian border guards held by Jaish al-Adl; published in group’s website on 9 February.